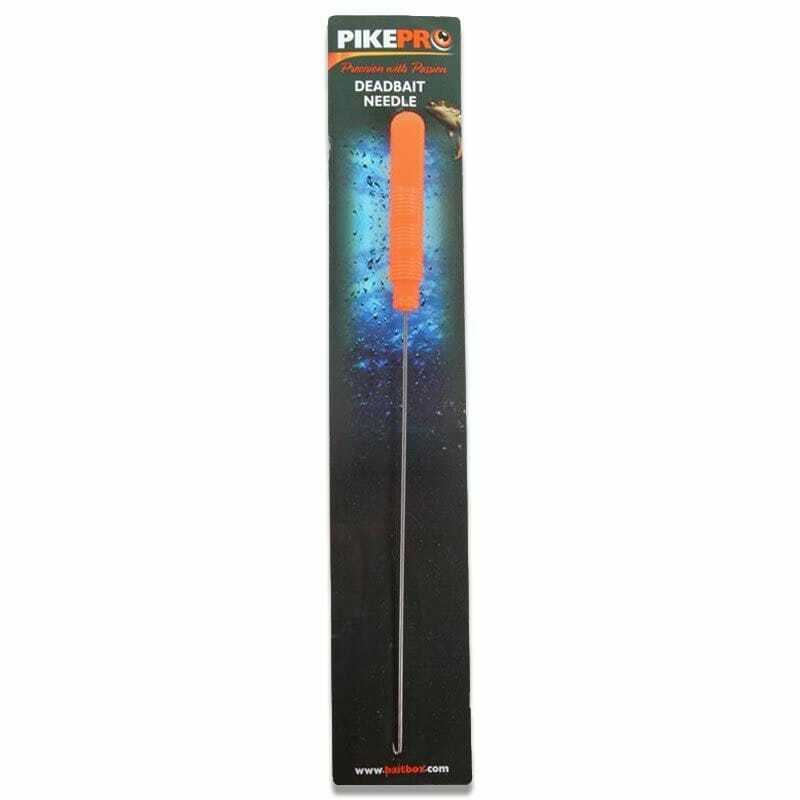 This extra strong Deadbait needle has been designed to allow unfrozen baits to be mounted on traces and thread onto bait popper rigs. Precision made hook design for easy threading of baits. Insert through the vent of the deadbait and out through the mouth for perfect mounting of deadbaits.